Damage #1 Review – AiPT! DC’s New Age of Heroes kicks off this week with this new series. 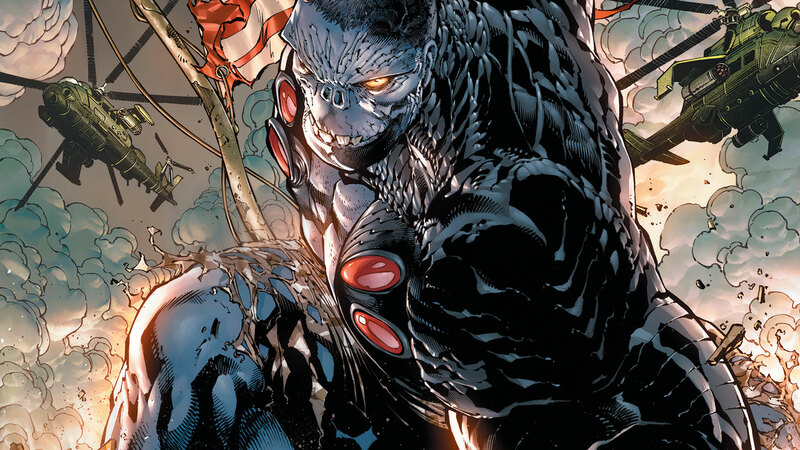 Damage #1 is the first release from DC’s New Age of Heroes. The book is gorgeously drawn by Tony S. Daniel (we spoke to him about this title at SDCC 2017), written by Robert Venditti, inked by Danny Miki, and colored by Tomeu Morey. This could make or break people’s impression of DC’s attempt to integrate new heroes into their universe. No pressure! It’s the start of something new and different from DC Comics with top talent working together to produce more new characters than ever. This is a showstopper moment for the big two and all eyes are on this. It’s also the first title that is attempting to push the artist’s approach in comics more than the writing, as was made clear in the DC Master Class SDCC panel. The first issue of a comic about a new character’s main purpose is to pique your interest in the character, and Damage definitely does that. The plot of the issue is simple, but clearly sets up an interesting new story that reads wildly different from most DC Comics. Venditti and Daniel were clever to integrate some familiar faces into the book so that it didn’t feel completely apart from the DCU too. That said, new characters and organizations are introduced which seem to suggest there are shadow groups we’ve never even known about. A little over half of the book is devoted to Damage smashing and destroying. This allows Daniel to show off his excellent splashy, highly detailed art. It looks great and the design of Damage himself is quite interesting — he has a Solomon Grundy meets Witchblade meets Hulk thing going on. The stuff on his shoulders give the impression there’s a complicated science fiction thing happening that’ll be fun to find out about. Amongst the splash pages is a timer, which adds another interesting element about this character. Apparently, he can’t stay in his monster form for more than an hour. That keeps him in check for missions, I assume, but also allows the creators to ramp up the action and slow things down via this timer. It’ll be interesting to see how it’s used in the future. You won’t like him when he’s angry. The action may have run on too long in this book’s opening. It looks great, sure, and it sets up a conflict between Damage and another character, but aside from the big splashy art there isn’t a lot going on here. There’s no clear mission and the character doesn’t appear to progress very far at all. He’s smashing amongst rumble, smoke bursts up here and there and we get a sliver of a cityscape in some backgrounds. Damage is the main figure we’re looking at and while it looks good it doesn’t do much for the story or plot progression. I’m interested in this story, but it probably could have done more if there was more to the action scene in the first half of the book. Damage is an interesting character that will have people talking for a variety of reasons. “Is he a rehash of the Hulk?” is probably going to be on most people’s minds, but to me DC has established it’s a different character in many ways. They also tie-in some familiar DC character faces which should help give readers a sense of what kind of book this will be.